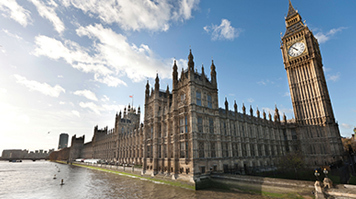 Professor David Phoenix OBE, Vice-Chancellor of London South Bank University (LSBU) and Chair of the university think-tank million+, has told MPs that employer sponsored education is under appreciated by government, despite its potential to boost UK productivity. Giving evidence to the House of Commons Business, Innovation and Skills Committee, Professor Phoenix told MPs that the lack of support for part-time study is a barrier to many people in work looking to reskill. Many modern universities have long-standing experience in working with employers to deliver vocational, professional and technical qualifications. The latest figures from the Higher Education Statistics Agency show that 37% of LSBU’s 18,000+ students are sponsored. LSBU works with approximately 1,000 employers to educate their staff. Asked how smaller businesses could justify the expense of up-skilling their staff, Professor Phoenix said: "Investment in SME education support leads to workers staying longer and gaining qualifications to boost earnings." The Business, Innovation and Skills Committee is holding an inquiry into the Government’s productivity plan which covers a wide range of areas, including the tax regime for businesses, skills, science and innovation, digital infrastructure, investment and trade. Written evidence submitted to the inquiry by million+ urges the Government to commit to understanding the higher education sector, particularly existing vocational and technical pathways in universities. Commenting on the Productivity Plan inquiry, Iain Wright MP, Chair of the Business, Innovation and Skills Committee said: "Productivity is the pressing economic challenge of this Parliament and tackling the productivity gap is crucial to the UK’s economic competitiveness and to improving workers’ living standards. As a Committee we will keep a determined focus on scrutinising investment, regulation, innovation and skills policies designed to boost productivity." Read the million+ submission to the Business, Innovation and Skills Committee Inquiry into the government’s productivity plan.